The nuclear disaster site at Chernobyl remains abandoned, as lingering contamination makes the area too dangerous for human inhabitants. Ukraine leaders are now suggesting a new use for the danger zone, with a proposal to transform Chernobyl into a sprawling solar farm that could produce nearly one-third the amount of electricity generated by the nuclear power plant at its peak. The Ukrainian government released a presentation to a number of banks, and the Guardian reports the proposal includes solar, biogas, heat, and power generation and could produce more than 1,000MW of solar and 400MW of other renewable energy for the region. Currently, Chernobyl’s exclusion zone spans 386 square miles (1,000 square kilometers) and Ukrainian leaders are eyeing nearly 15,000 acres for a renewable energy farm. The contaminated land is too dangerous for people to live in, and is similarly unfit for agriculture, so evolving the site from a dangerous nuclear power plant location to a massive clean energy farm seems like a good possibility. In the 30 years since the Chernobyl accident, many proposals for repurposing the land have been discussed, but none have gained the traction that this idea has garnered. That is in part due to changing attitudes about Chernobyl’s potential. “There has been a change in the perception of the exclusion zone in Ukraine. 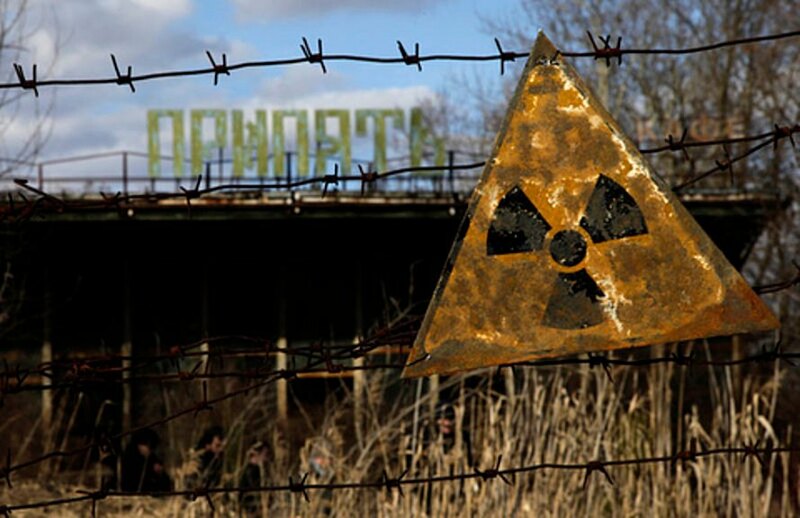 Thirty years after the Chernobyl tragedy [it] reveals opportunities for development. A special industrial area is to be created in compliance with all rules and regulations of radiation safety within the exclusion zone,” says the presentation. It seems likely the plan for the four gigawatt solar farm will move forward. The European Bank for Reconstruction and Development (EBRD), which already invested $500 million to seal off the destroyed nuclear reactor with a steel canopy, indicated this week it would invest in the Chernobyl solar farm as well. In addition to the obvious benefits of renewable energy, the proposal suggests that parts of the nuclear power plant could be repurposed for solar power generation, and the project could employ many of the skilled engineers who currently represent a surplus in the available pool of workers. Ukrainian leaders are proposing the Chernobyl nuclear site become a massive solar farm, and the plan seems likely to move forward.